The NO.1 fastest optimization app in the world.http://www.gomo.com/Has your phone become laggy and lack of space? GO Speed is the speed booster & junk cleaner you need! GO Speed is the smallest phone cleaner on market. It can boost the speed of your phone by up to 60%, and safely clean junk files to increase available space. With the advanced process monitoring technique it can intelligently clean background processes, stop stealthy running apps and disable stealthy auto-start apps even on non-root devices. (Android 4.1+) If you are forced or tricked to be here by malicious means, please report to us: reportspamgodev@gmail.com GO Speed (speed booster & junk cleaner) Highlights:★ BlackHole Speed BoosterHave you ever boosted again and again with no effect? GO Speed BlackHole Booster, unlike any other boosters, stops the toughest auto-start apps, 50% more effective than most boosters on market.★AppLockGot prying eyes (from your friends or family) now and then? Choose any app that you want to lock, including WhatsApp, Contacts and Facebook Messenger, protecting your privacy utterly.★ Pre-installed App TerminatorPre-installed apps are there all the time, occupying space, slowing down your device but you just cannot delete them? 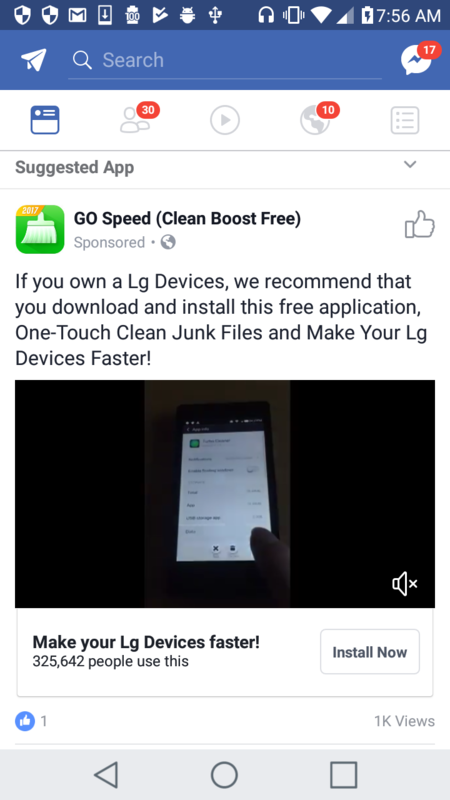 For the very first time, you can get rid of them with just one tap, using GO Speed Pre-installed App Terminator (Android 4.1 and plus needed).★ Junk File CleanerFree up space and improve the performance by intelligently scan the junk files. Such as residual files, cache, temp files, obsolete apks and other big files.★ APP ManagerHelp you find rarely used apps, make backups and uninstall apps to save more space.★ Smart On-screen WidgetTired of an annoying floating window? The unique Floating widget is unnoticeable but reliable, guarding your phone at runtime and launch the junk cleaner in one touch. GO Speed (speed booster & junk cleaner) Features:Memory Boost - The best phone speed boosterClean background tasks, free up phone memory.Boost the speed of your phone by 60%, optimize games and apps performance.Auto-start Manager - Keep your phone running smooth & fastForbid unwanted apps from auto-starting, boost up your phone and keep it running smooth (Root needed)Junk Cleaner - Small yet powerful cleaner master, space saverAnalyze all of your apps, detect junk including cache, residual files, temp files.Clean cache junk with one tap, free up space and boost phone speed.Storage Cleaner - Deeply clean your phoneHelp clean up the needless photos, music, documents and apps to free up space and speed up your device.Floating Widget - Your phone speed assistantKnow your memory status in realtime. Boost up your phone anytime with a single drag.Smooth boosting animation design - Boosting your phone can be so much fun.Notification Toggle - Speed up your mobile lifeAccess your most frequently used phone features in just one place.Your mobile life is never so speeded up.Pre-installed App Terminator - Make phone faster than brand newIntelligently distinguish useless pre-installed apps from important system services.One-tap disable the useless ones to make your phone even faster than brand new.There will be ad content shown in certain scenes in our app. For more details, visit https://m.facebook.com/ads/ad_choices.This app uses Accessibility services，for all people can use the app more commodiously，and maximizing the performance，such as boosting and cleaning automatically. Contact us:Communicate with us on Facebook:https://www.facebook.com/pages/Z-Boost/318325038361225Join our community:https://plus.google.com/b/112348125604156072635/communities/104671237601119272862E-mail:zboostteam@gmail.com GO Speed is 100% FREE and 100% GREEN. This 5MB tiny speed booster & junk cleaner will guard your phone and make it faster than new!